As a full time working mom, it's not easy to make a healthy, home cooked meal every night. Using semi home cooked recipes makes it easier to get dinner on the table and it's much faster too! With small tweaks to old recipes, almost any meal can be made with less than 15 minutes of prep time! I regularly make the recipes below either as main dishes or side dishes if there are left overs for my husband and daughter. Not only are they home made but they also contain many of the healthy ingredients that should make up our diets. Heat oven to 450. 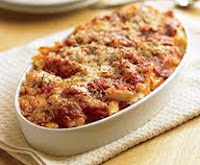 Cook 1 lb ziti in lightly salted water until al dente, about 9 minutes. Meanwhile, in a deep skillet, simmer 1 lb small refrigerated fully cooked meatballs in 3 cups of marinara sauce until hot, about 8 minutes. Drain pasta and stir into meatball mixture. Transfer mixture into a baking dish and stir in 2 cups of shredded mozzarella. Top with 1/2 cup grated parmesan cheese. Bake until top is browned, about 15 minutes. Heat oven to 375 degrees. Cook frozen bell peppers and garlic in skillet for a few minutes until lightly browned. Put aside. Put turkey, 1/2 cup of marinara, breadcrumbs, raw egg and parmesan cheese into large mixing bowl and mix or fold to blend ingredients. 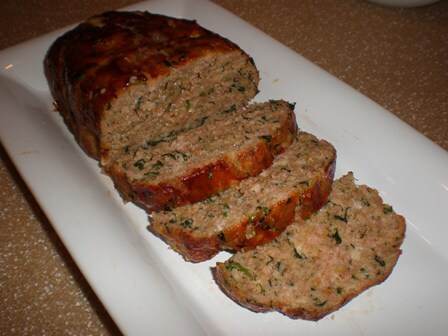 Add spinach, garlic and bell peppers and fold into a loaf. Place it on a cookie sheet and cook for approximately 1 hour or until lightly browned. Brush top with 1/4 cup marinara & broil until bubbly. Cut and serve. Put cauliflower, pasta, milk & pinch of salt in a pot. Bring to boil & reduce to simmer. Cook until cauliflower is tender or about 25 minutes. Cool. Puree until smooth in a blender. Great recipes. Some of my favorite easy classics. 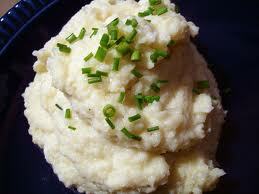 Cauliflower puree added into mashed potatoes is a great way to get healthy foods into a picky child's diet. Stop by www.MyMomCareer.com anytime for some mommy motivation!